Argentina is Mecca for gastronomes and a veritable playground for the avid food lovers. It makes one of the best chocolates in South America. Also there are many spa treatments available that incorporate wine and grapes which help improve skin tone and elasticity. 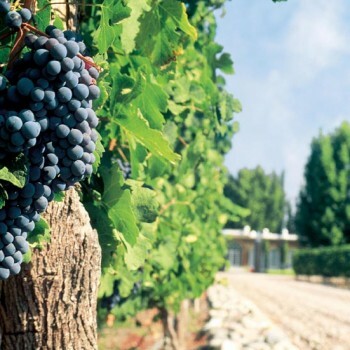 As the capital of the countries wine growing, this is a Mecca for gastronomes the world over Probably the first stop for any self-respecting foodie, Mendoza and the valleys that surround it are the home to some of the best wines in the world. Featuring some of the main wine growers from Europe, this was the first area in Argentina to truly be developed and, today, is very much up there on the world stage. A few days wandering through the vines and sampling the wine and tasting menus is a wonderful experience for both connoisseurs and novices alike. As one of the top cities in the world, Buenos Aires is a veritable playground for the avid food fan. Featuring many of the top restaurants in both Argentina and the world, there is a vast array of different restaurants and menus to choose from. The traditional fare for most is the ubiquitous steak and glass of Malbec, but Buenos Aires also caters to a whole host of other tastes and palates. One of the must do activities while here is to partake in a traditional “Parilla”. 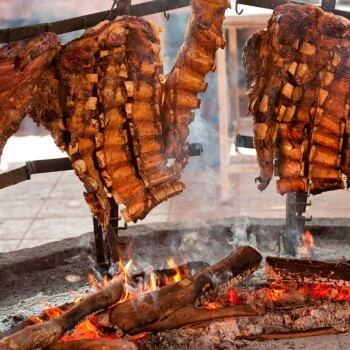 This Argentine barbeque has been a traditional meal for centuries and derives from the family and ranch meals that were & are still eaten. Each parilla is different but, on the whole, either a full lamb is butterflied and put on a stake in front of the fire to slowly cook, or a whole load of beef is carved up and you get to choose which part of it you like the look of. The meat and the meal are absolutely outstanding. Argentina is well known for its bitter mate (pronounced: ma-te), an infusion of yerba mate leaves with hot water, so the sweetness that’s associated with Bariloche is a real contrast. 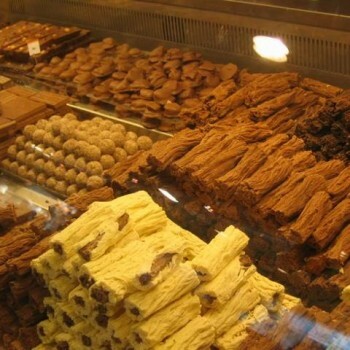 Said to now have the best chocolate in Argentina –perhaps even in South America – the streets of Bariloche have been filled with the scent of chocolate for decades, thanks to Europeans who immigrated here after World War II. Two of these immigrants were Ines and Aldo Fenoglio, who came from Italy and opened a chocolate company at their new home. As the years passed and the company thrived in its sale of chocolates around the country, two of the couple’s children, Laura and Diego, became involved in the family business. In 1996, Diego launched his own chocolate store, called Rapa Nui, on Mitre, Bariloche’s main street. Colored in purple, with plenty of places to sit inside and out, Rapa Nui offered a Chocolate Happy Hour, giving discounts on its delicious products. Set down on the southern most tip of Argentina, the isolated and windswept Ushuaia and Tierra del Fuego is not somewhere that you would think of for food. 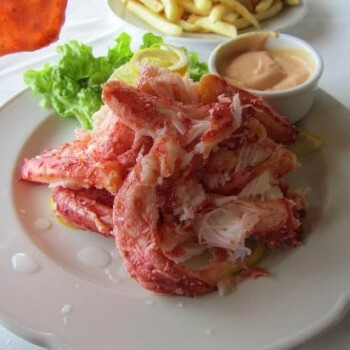 It is true that they don’t have the luscious pastoral lands of northern Argentina, but they do have very good seafood, in particular the mighty king crab. Similarly, the range of accommodation may not be vast, but there are a few hotels in the region that cater very well. Located in the heart of Argentinean wine country, there are many spas that incorporate wine and grapes into many of their services, including a scrub-and-wrap combo. Skin is exfoliated with a grape-based polish before being wrapped in a nourishing red wine and grape mask, which helps improve tone and elasticity. These spa treatments are a hit with men & women. The frentic San Telmo Antiques Fair centers on Calle Defensa between Avenue Independecia and Avenue San Juan, with most of the action on Plaza Dorrego. 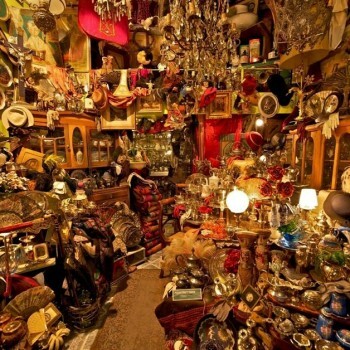 Join hoards of people searching for a deal among the many stalls overflowing with antiques, trinkets, costume jewelry, vintage movie posters, and artwork. One of the delights of this market is the fact that the neighborhood of San Telmo is world-famous for its tango music, so you’ll come across street bands and dancers performing impromptu numbers on the road. The market is open on Sundays only.